Hidden away in a stunning glen on the southernmost edge of Cairngorms National Park, Prosen Hostel is an 18-bed, 4-star bunkhouse that’s perfect for getting away from it all. 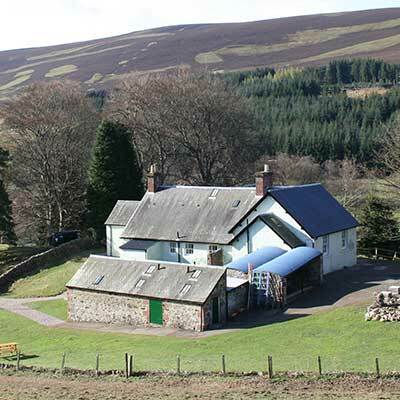 Prosen Hostel, which is near Kirriemuir, Angus, sleeps 18 in cosy bedrooms and is wheelchair accessible. The hostel has a large, welcoming lounge with a wood-burning stove, a modern kitchen, a drying room and a special viewing area where you can keep an eye on our nearest neighbours – the red squirrels who live in the woods next door! 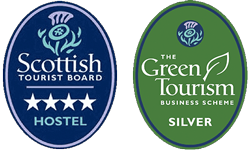 There are excellent walking and mountain biking routes, lush green forests just waiting to be explored, tumbling rivers rushing through the glen and heather-clad hillsides with picnic spots everywhere you look! Free internet access and Wi-Fi are available at Prosen Hostel.